OpenCL (Open Computing Language) is an open standard for cross-platform, programming of modern highly-parallel processor architectures. Introduced withOS X v10.6,OpenCL consists of a C99-based programming language designed for parallelism, a powerful scheduling API, and a flexible runtime that executes kernels on the CPU or GPU. 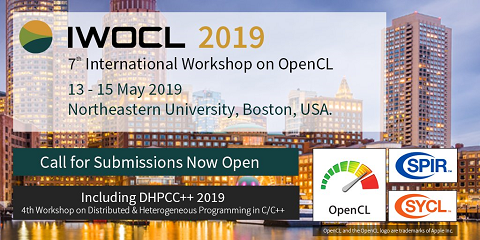 OpenCL lets your application harness the computing power of these processors to improve performance and deliver new features based on compute-intensive algorithms. In addition to support for the OpenCL 1.1 standard, OS X v10.7 adds integration between OpenCL, Grand Central Dispatch (GCD), and Xcode to make it even easier to use OpenCL in your application.